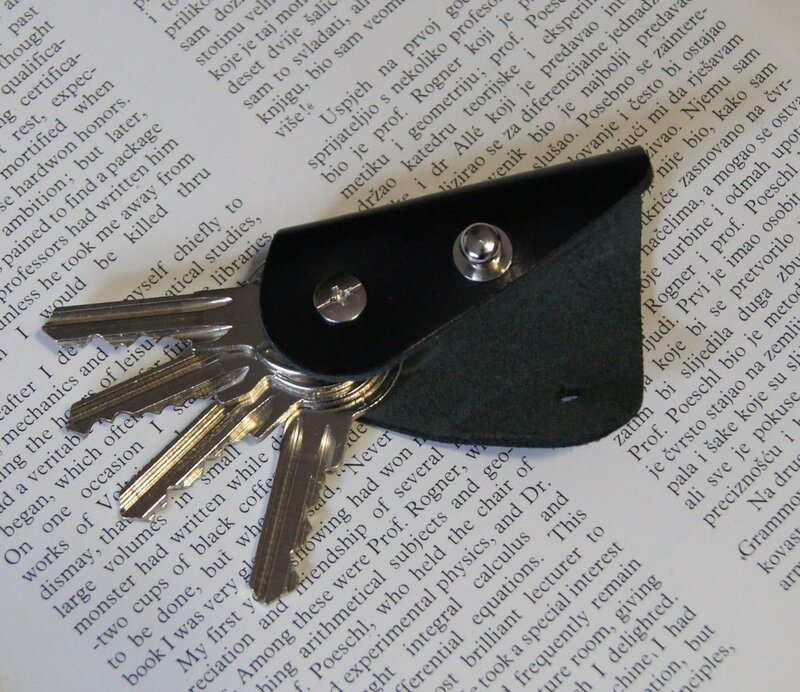 Leather keychain key holder, Holds 1-4 regular keys. Measures approximately 1 1/3 inch wide, 2 3/4 inch tall and 1 inch thick . Tungsten ring - Size 12 - comfort fit - only 1,5 mm thick !